This is the fantastic news from NASA. First time NASA’s spacecraft Parker Solar Probe breaks record for closest approach to the Sun. 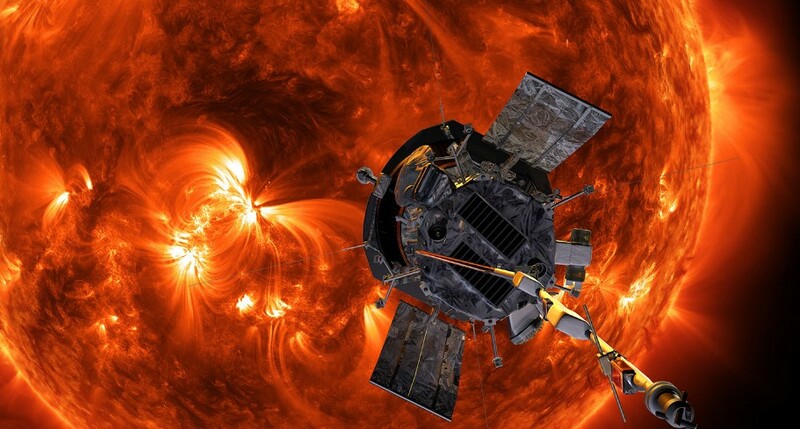 As Reported NASA, the spacecraft now holds the record for closest approach to the Sun by a human-made object. The result is recorded on October 29, 2018, at about 1:04 p.m. EDT. The human-made object passed the current record of 26.55 million miles from the Sun’s surface. This is really wonderful result, as the previous record for closest approach to Sun, had been in April 1976, by the German-American Helios 2 spacecraft. It is expected that in 2024 Parker Solar Probe will break its own records, with a closest approach of 3.83 million miles from the Sun’s surface. Another record is; Parker Solar Probe is also expected to break the record for fastest spacecraft traveling relative to the Sun on October 29 at about 10:54 p.m. EDT. The record speed is 153,454 miles per hour, set by Helios 2 in April 1976. According to NASA [Parker Solar Probe will begin its first solar encounter on Oct. 31, continuing to fly closer and closer to the Sun’s surface until it reaches its first perihelion — the point closest to the Sun — at about 10:28 p.m. EST on Nov. 5. These observations will add key knowledge to NASA’s efforts to understand the Sun, where changing conditions can propagate out into the solar system, affecting Earth and other worlds].